CD Title: Come Sing With Us! Sue Leonard, Schuld & Stamer, Long John Baldry, Gord Maxwell, Kenny Wayne, Peter Padden, Linda Kidder, Taylor James, Dave Haddock, Jeanette O'Keefe and the Children of Tyee Elementary School (Vancouver, BC). Recorded at MagicLab Recording and Skeena's Place. Recorded by Daryl Hok, Tom Carter and Andreas Schuld. Recorded between February and May 1999. 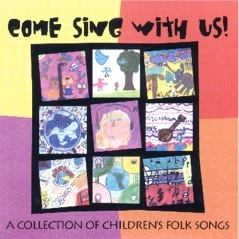 Various Artists - "Come Sing With Us!"